Thornyfield Lodge is a wooden lodge based near Bowness-on-Windermere in the Lake District. It provides two bedrooms including a double and a twin zip/link, there is also a shower room and a cloakroom, the property can sleep up to four people. Inside you will also discover an open-plan living area comprising a kitchen, a dining area and a sitting area with a woodburning stove. 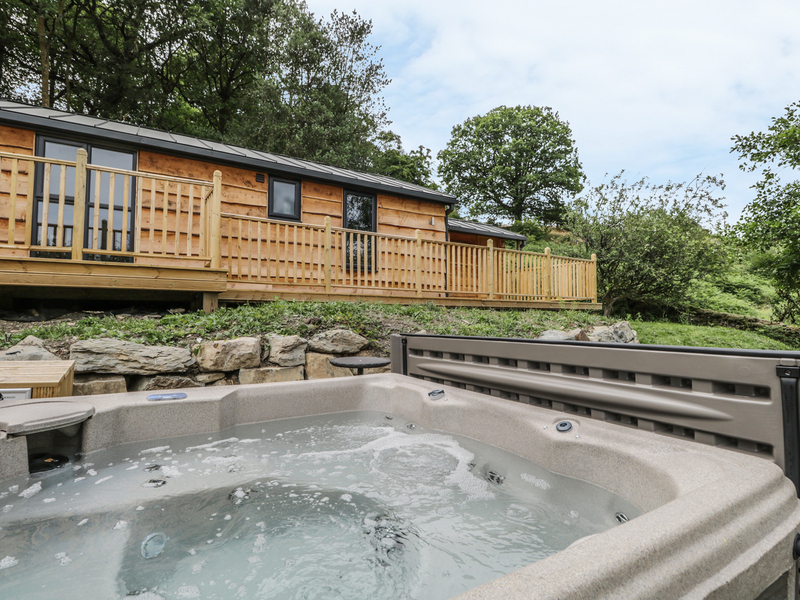 To the outside there is off road parking, lockable storage, a utility and a garden with decking with furniture and a hot tub. 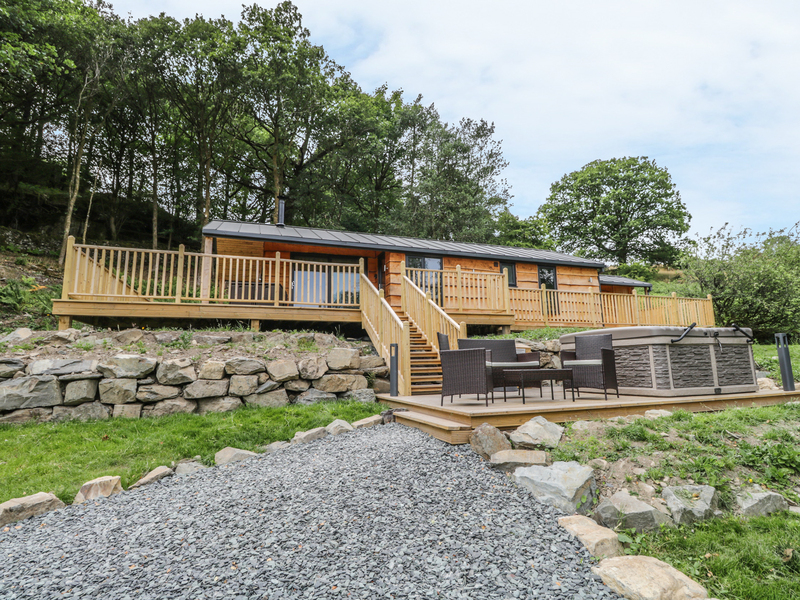 Thornyfield Lodge is a modern getaway, perfect for friends and family. All ground floor (steps up to property). Two bedrooms: 1 x double, 1 x twin (zip/link, can be king-size on request). Shower room with shower only, cloakroom with basin and WC. Open-plan living room with kitchen, dining area and sitting area with woodburning stove. External utility. Underfloor heating from ground floor air source heat pump, woodburning stove. Electric oven and hob, microwave, fridge/freezer, washing machine, tumble dryer, dishwasher, Smart TV, WiFi. Fuel, power and starter pack inc. in rent. Bed linen and towels inc. in rent. Travel cot and highchair available on request. Ample off road parking. Lockable storage. Decking with hot tub, enclosed decking with furniture. 1 well-behaved dog welcome. Sorry, no smoking. Shop 4 miles and pub 1 mile. Note: Although decking is enclosed, the landscape nearby is steep and rocky, children to be supervised when outside. Note: There is an electric car charging point at the property.